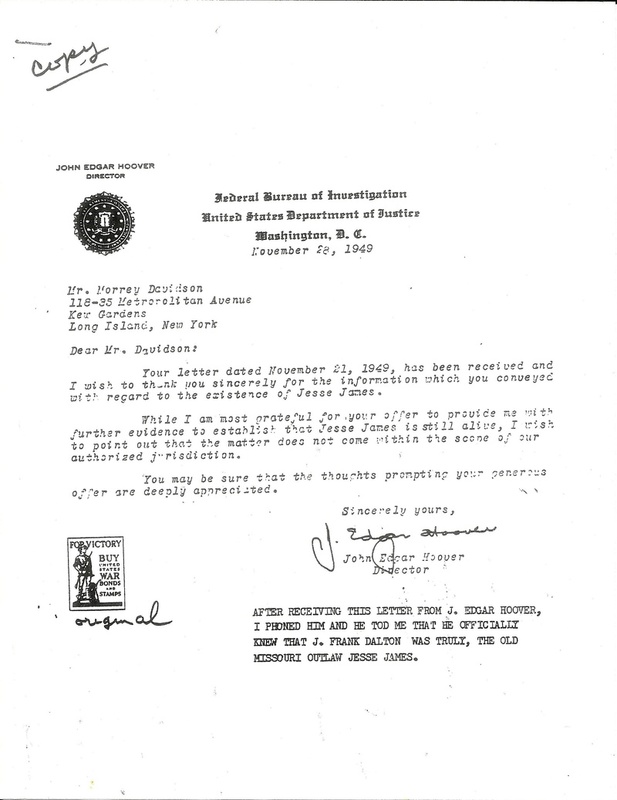 This is a letter Morrey Davidson received from FBI Director J. Edgar Hoover. It includes Mr. Davidson's note that says that in a follow-up telephone call, Hoover said that he "knew" that the man known as J. Frank Dalton was the real Jesse James. This copy was given to me by my friend Bud Hardcastle.